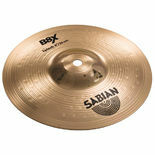 The Sabian 10" B8X Splash Cymbal accents with extremely fast, bright, and punchy high-end cut. 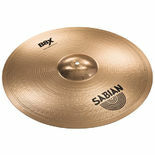 Sabian 16" B8X Band cymbals are bright, yet musical. 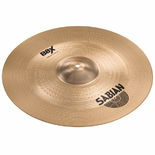 Controllable by young percussionists, Sabian 16" B8 Band Cymbals are affordable for all music programs. 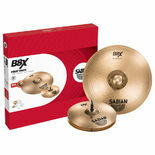 Sabian 14" B8X Hi Hats are crisp and lively stick and pedal responses are very bright and definite, clean, and penetrating. 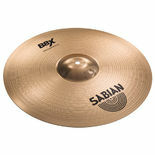 With the sabian 16" B8X you'll get an explosive response. It is fast, full, and powerful. The rock Crash has total presence and penetrating power through high volumes. 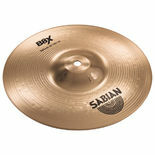 The Sabian 14" B8X Thin Crash Cymbal is a bright and loud cymbal, explosive with maximum impact response. Sabian 14" B8X Band cymbals are bright, yet musical. 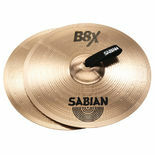 Controllable by young percussionists, Sabian 14" B8X Band Cymbals are affordable for all music programs. The Sabian 20" B8X Ride has crisp stick definition, cutting bell, and bright tonal response blend to create a smooth, versatile ride. 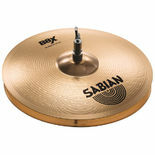 The Sabian 18" B8X Medium crash is fast with a solid response. The Medium Crash will blend power with an explosion of crisp, bright tone for bigger, fuller accents. 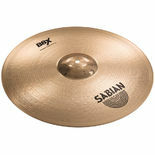 The Sabian 18" Crash Ride will blend explosive crash power with full, wide-open ride response. This is a great multi-purpose cymbal. 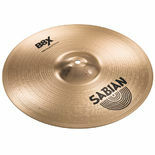 The sabian 16" B8X has a fast, solid response. It blends power with an explosion of crisp, bright tone for bigger, fuller accents. 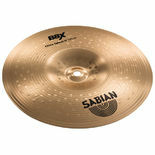 The sabian 16" B8X is full, penetrating response is bright and loud, exploding with an upward pitch gain, for maximum impact. 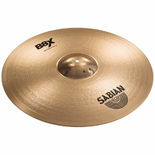 When you play the Sabian 20" B8X Rock Ride you'll find it has clean and solid sticking definition with a crisp and solid bell, for total clarity and presence at all volumes. 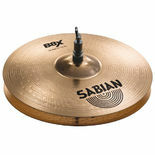 The Sabian B8X 13" Hi Hat has Crisp and lively stick and pedal responses. The Hi Hats are very bright and definite, clean and penetrating. 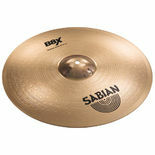 The sabian 18" B8X Rock Crash has an explosive response, fast, full, and powerful. The Rock Crash is good for total presence and penetrating power through high volumes. 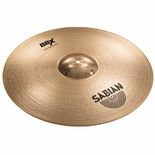 The sabian 18" B8X Thin crash is bright, loud, explosive and has maximum impact response. The Sabian 18" B8 Chinese Cymbal features bright bite and is aggressive and edgy, with a cool, cutting rawness that is immediate and trashy.